With the unrelenting summer heat, I’m always looking for ways to keep the house cool. Grilling things outdoors is one good way to avoid creating unnecessary heat indoors, but when you have to cook a sauce or glaze to go with it, it kind of defeats the purpose of using the grill. 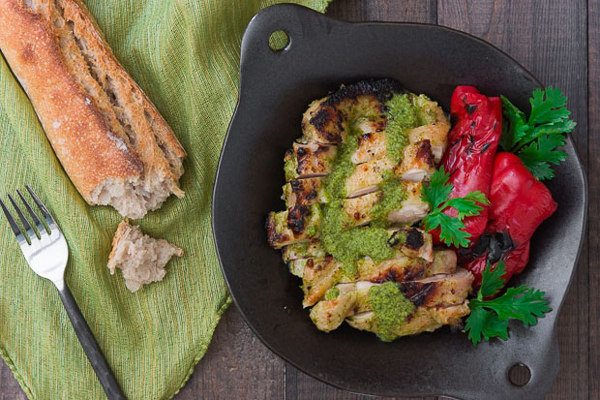 This mojo verde comes together in a blender and makes for a delightful marinade that also doubles as a sauce. Brimming with pungent garlic, herbaceous cilantro, tart lime juice, a fiery heat from the peppers and a mild sweetness from the orange juice this mojo makes for a versatile sauce. I’ve used it with skin-on chicken thighs here, but it works with just about any meat including beef, pork and lamb and also makes a great sauce for grilled fish and vegetables. 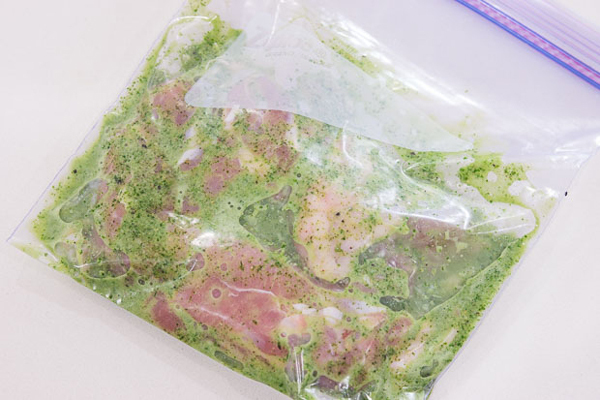 If you do want to use it as a sauce, be sure to hold some aside, since once you’ve put raw meat into it to marinade it is not safe to use as a sauce. Because skin-on chicken thighs have a higher fat content, they won’t dry out as easily as breast meat, so whether you chose to grill, broil or pan-fry the chicken, you’ll end up with tender juicy meat with a layer of crisp skin. If you really don’t want to eat the skin, you can either do this with skinless thighs, or you can marinate and grill with the skin on, which keeps the meat moist, and then remove the skin before you eat it. This will make about one cup of mojo verde, which should be enough for about two pounds of meat, and keeps in the fridge for up to a week. 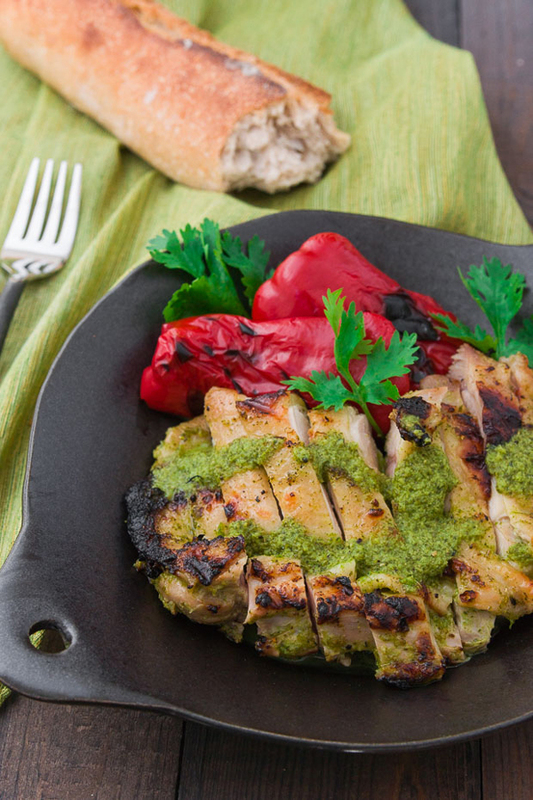 Create a versatile marinade using garlic, cilantro, lime juice, peppers and orange juice. 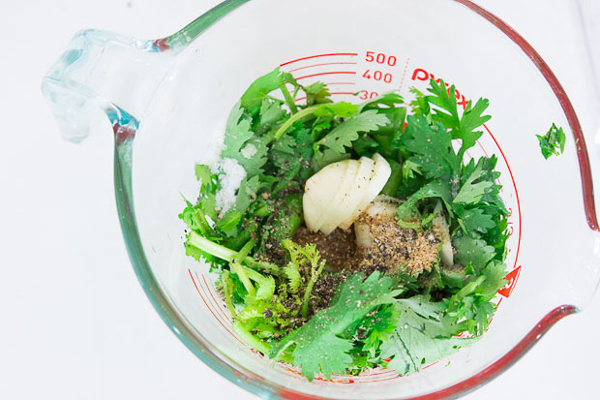 Roughly chop the cilantro, garlic and chilies, and put them in a blender with the lime juice, orange juice, olive oil, salt, ground coriander seed and black pepper. Blend until smooth. Marinate the chicken thighs in half the sauce for at least 8 hours, or preferably, overnight. Save the other half of the sauce to put on top of the chicken after it's cooked. You can then either grill, bake or fry the chicken. First, remove the chicken from the marinade and scrape off the excess marinade. You don't have to get it all off. If you choose to grill the chicken, use a medium hot grill as the sugar in the orange juice will cause the chicken to burn before it is cooked through if the grill is too hot. Grill the chicken skin-side down first, and then flip and grill the other side until the chicken registers 162 degrees F on an instant read thermometer. If you want to bake the chicken, put it on a wire rack with the skin facing up. Move the oven rack to the top position and preheat it to 350 degrees. Bake the chicken until it's almost done (reaches an internal temperature of 155), and then turn the oven onto broil. 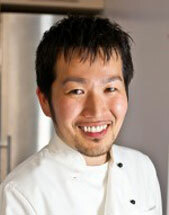 This will help to crisp the skin and give it a little char at the end. If you want to fry the chicken, follow the steps in this post to get the skin crisp.